I remember when the first book of this series, The Prodigal, released. I thought I'd never seen a more beautiful cover. But the sequel looks even better. Gorgeous. I'm a big fan of Patrick O'Brian series about Jack Aubrey made famous in the movie Master and Commander. I can't get enough of authentic historical books about seafaring life, especially life around the time of Napoleon. I've read all twenty! S.K. Keogh's books have those same authentic details, full of adventure and action and with more romance. And hers are set on the American side of the Atlantic. Do you like adventure? Action? Intrigue? Perhaps a touch of romance? Oh, and a historical setting? How about early colonial America? To modern readers, the historic city of Charleston, South Carolina, brings to mind Rhett Butler, Gone With The Wind, and cotton plantations. But did you know that before cotton became king in the South, rice was Charleston's (then called Charles Town) leading exported commodity? And the slave gang labor system portrayed in stories like Gone With The Wind was preceded by a more humane task labor system? 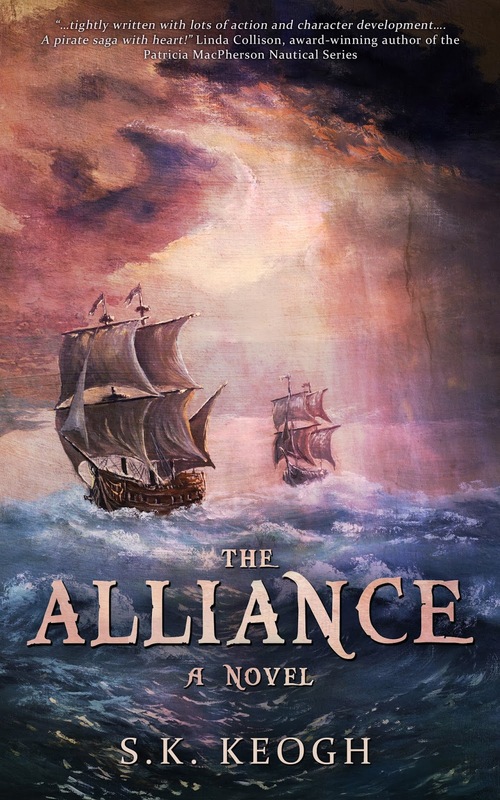 The Alliance is my follow-up novel to my debut, The Prodigal. And while The Alliance returns readers to Jack Mallory's piratical world, it also introduces the reader more fully to Leighlin Plantation near Charles Town, Carolina, in 1692. And with new characters introduced the stakes are higher and the intrigue greater. Jack finds that his time spent on land provides its own set of challenges and that in some ways life on land can be as dangerous as a pirate’s life sea! Before I share the jacket blurb for The Alliance below, I just want to say SPOILER ALERT! for those who haven't read the first book. Jack Mallory sailed into Carolina waters seeking vengeance upon fellow pirate James Logan, the man responsible for his father’s murder and his mother’s kidnapping. But Jack never expected his well-laid plans to be foiled by a mere child: Logan’s precocious six-year-old daughter…and half-sister to Jack. A deathbed promise to their mother inexorably binds Jack to the child and robs him—at least temporarily—of his revenge against her father. But the two pirates’ tenuous truce will be tested when a mysterious privateer sets sail to end Logan’s devastation of Carolina’s lucrative sea trade. Will Jack choose to save his half-sister’s father or will he ally with the privateer to at last see justice served for Logan’s crimes against his own parents? You can connect with me online at my website: skkeogh.com, or on Twitter @JackMallory, or on Facebook atwww.facebook.com/S.K.Keogh. And look for the next volume of my Jack Mallory stories in late 2014, entitled The Fortune. I absolutely love the covers! Romance and pirates? I'm sold. The Prodigal sounds like an great read, and I've added it to my holiday vacation to-read list. Best wishes with the Alliance. Thank you, Martha! 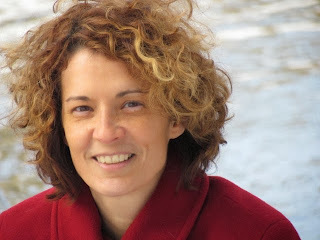 And thank you, Michelle, for hosting me on your blog! Sun versus Snow Query Contest Logo! Contest Info at the Top! Fan Conventions from an Author's Viewpoint!